Instantly downloadable sheet music by Graham Nash for piano solo of EASY skill level. Alle Notenausgaben von Our House zum Herunterladen bei VirtualSheetMusic. Alle Notenausgaben von Secret Life zum Herunterladen bei VirtualSheetMusic. Instantly downloadable sheet music by Ed Sheeran for piano solo of EASY skill level. Alle Notenausgaben von The A Team zum Herunterladen bei VirtualSheetMusic. Alle Noten von Ed Sheeran zum Herunterladen bei VirtualSheetMusic. Instantly downloadable sheet music by John Lennon for piano solo of MEDIUM skill level. Instantly downloadable sheet music by Ray LaMontagne for piano solo of MEDIUM skill level. Alle Notenausgaben von Trouble zum Herunterladen bei VirtualSheetMusic. Alle Notenausgaben von Not Dark Yet zum Herunterladen bei VirtualSheetMusic. Alle Notenausgaben von Fifty Ways To Leave Your Lover zum Herunterladen bei VirtualSheetMusic. Instantly downloadable sheet music by Zilphia Horton for piano solo of MEDIUM skill level. 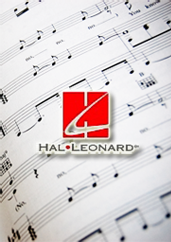 Alle Notenausgaben von We Shall Overcome zum Herunterladen bei VirtualSheetMusic. Alle Noten von Zilphia Horton zum Herunterladen bei VirtualSheetMusic. Instantly downloadable sheet music by Mumford and Sons for piano solo of MEDIUM skill level. Alle Notenausgaben von Little Lion Man zum Herunterladen bei VirtualSheetMusic. Alle Noten von Mumford and Sons zum Herunterladen bei VirtualSheetMusic. Alle Notenausgaben von Blowin` In The Wind zum Herunterladen bei VirtualSheetMusic. Alle Notenausgaben von Poems, Prayers And Promises zum Herunterladen bei VirtualSheetMusic. Instantly downloadable sheet music by P Moloney for piano solo of MEDIUM skill level. Alle Notenausgaben von Chase Around The Windmill (Medley) zum Herunterladen bei VirtualSheetMusic. Alle Noten von P Moloney zum Herunterladen bei VirtualSheetMusic. Instantly downloadable sheet music by Cat Stevens for piano solo of MEDIUM skill level. Alle Notenausgaben von Wild World zum Herunterladen bei VirtualSheetMusic. Instantly downloadable sheet music by Fred Foster for piano solo of EASY skill level. Alle Noten von Fred Foster zum Herunterladen bei VirtualSheetMusic. Instantly downloadable sheet music by Donovan Leitch for piano solo of MEDIUM skill level. Alle Notenausgaben von Catch The Wind zum Herunterladen bei VirtualSheetMusic. Alle Noten von Donovan Leitch zum Herunterladen bei VirtualSheetMusic. Instantly downloadable sheet music by Rick Nowels for piano solo of MEDIUM skill level. Alle Notenausgaben von Intimacy zum Herunterladen bei VirtualSheetMusic. Alle Notenausgaben von Quinn The Eskimo (The Mighty Quinn) zum Herunterladen bei VirtualSheetMusic. Alle Notenausgaben von A Hazy Shade Of Winter zum Herunterladen bei VirtualSheetMusic. Alle Notenausgaben von Tangled Up In Blue zum Herunterladen bei VirtualSheetMusic. Alle Notenausgaben von The Minstrel Boy zum Herunterladen bei VirtualSheetMusic. Instantly downloadable sheet music by John Phillips for piano solo of MEDIUM skill level. Alle Notenausgaben von Monday, Monday zum Herunterladen bei VirtualSheetMusic. Alle Noten von John Phillips zum Herunterladen bei VirtualSheetMusic. Alle Notenausgaben von Somebody`s Knockin` At Your Door zum Herunterladen bei VirtualSheetMusic.